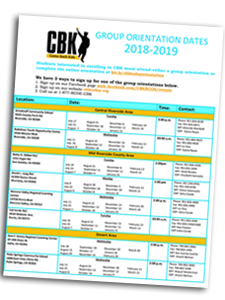 Come Back Kids (CBK) is an independent study program and operates as a charter school under the authority of the Riverside County Superintendent of Schools. Our school provides an alternative educational environment that is different from the traditional school that you may have experienced in the past. CBK is designed to meet the individual learning needs of our students in an independent study setting. Our exemplary staff is committed to the success of every student. Upon enrollment, students are assessed in reading and math to determine appropriate placement in grade level classes and to identify any special needs. Students meet with teachers who assist in developing an Individual Learning Plan (ILP) and setting educational goals. Parents are strongly encouraged to participate in these meetings. Our Western Association of Schools and Colleges (WASC) accredited program includes California Standards based core instruction, credit recovery classes, Career Technical Education (CTE), and elective classes designed to help students develop their career goals and interests.